Deviant Art - Post your username here! Discussion in 'Fan Art' started by musicscifigirl, Jul 23, 2009. I can't believe there isn't already a thread for this! For those of you fanart people who use Deviant Art, this is the place to share your page! You can either post links to your individual pokemon fanart (if you've only done a few), or you can just post the link to your general page. It's cool if you have a Deviant Art but don't have pokemon fanart. Just make sure that when you post your link, specify whether or not you have pokemon fanart. I, for one, have just started drawing Pokemon fanart within the past couple months. I'm a total noob at drawing anime, but I think so far I've been doing pretty well. So far, most of my drawings are of my original trainers and some of the anime characters. No pokemon yet, just people. Here is the link to my Deviant Art! 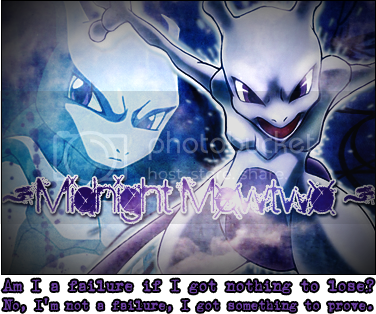 For my Pokemon Fanfiction, click here: http://sites.google.com/site/musicscifigirl Be on the lookout for my fanfics on Serebii! Also, NO REQUEST POLICY FOR ME. All done in MS Paint, though I do making decent drawings by hand but I don't know how to work a scanner. Rika_Of_Thunder for the Persian drawing. sweet_piplup123 I lost the game?!?! Have fun laughing at my crappy works, peeps. Hand drawings, digital work (sometimes) and nature photography, along with a whole bunch of random stuff. It's just a pile of recolours / fusions, with a bonus Caterpie on fire. 156 Pokemon in the Unova dex. 6 of them are event Pokemon. 151 Pokemon in the Kanto dex. 1 of them is an event Pokemon. Fanart and schoolwork since I'm an art student. Not a lot of Pokemon work, but tons for other fandoms. 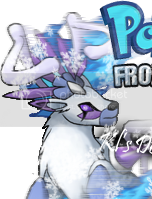 My Glaceon Fan Club one~That's right I'm the owner of it. I'm more active on bulbagarden than here. lol don't try to think to meet sprites, etc like that there. A lot of hand-drawned things are there. You would have to look at old Pokémon pictures because I haven't been able to draw Pokémon much since I started my webcomic. A Serebii forums with custom avatars? What is this madness???? I'm just posting because I want people to comment. I haven't updated in a while. Ad hoc, ad loc, and quid pro quo! On top of that, I'm not too artsy, but whatever..